In an inspiring pairing, Amy Hest and P.J. Lynch create an unforgettable tribute to the immigrant experience. Exquisitely illustrated by P.J. 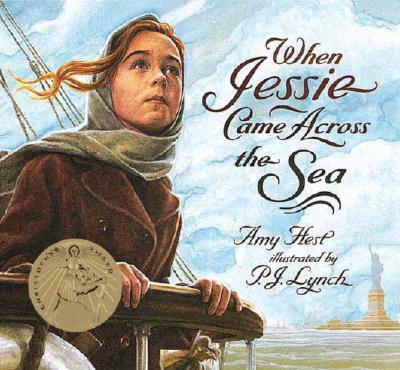 Lynch, with paintings that glow with warmth and carefully observed detail, WHEN JESSIE COMES ACROSS THE SEA transcends time and culture in a tribute to the courage and hope of all who seek a better life. It is destined to become a modern classic.